We are delighted to invite applications from Scottish early to mid career craft makers for the Visual Arts Scotland : Inches Carr Craft Mentoring Award. The award is £5000 for a craft maker, plus an additional £2000 for a mentor whose discipline and/or professional experience would add value to winner. The purpose is to encourage and mentor makers who have reached a junction in theor practise to develop to a higher level, consider innovation and introducing new materials or techniques to their existing work, or to embark upon a new artistic direction. Shortlisted artists will be exhibited in a dedicated section of Visual Arts Scotland’s next Annual Exhibition at the Royal Scottish Academy in January – February 2019. The overall winner will then be announced during the exhibition and will be invited to develop a new body of work in conjunction with their mentor to be exhibited at the subsequent VAS annual exhibition. Open For Entry: 5 September 2018. Entry Deadline: Extended to 19 November 2018, Midnight. We are delighted to invite applications from Scottish early-mid career makers for the second Visual Arts Scotland : Inches Carr Craft Mentoring Award. The award is £5000 for a maker, plus an additional £2000 for a mentor whose discipline and/or professional experience would add value to the winners practise. 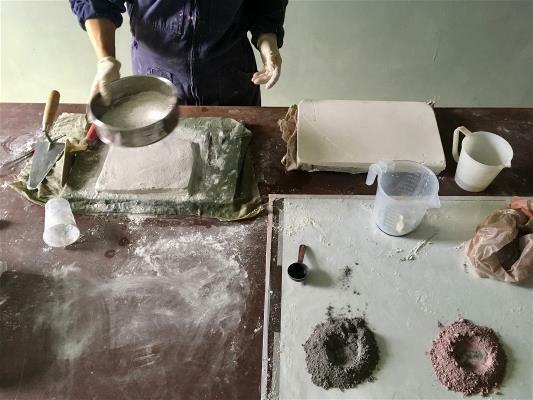 The purpose is to encourage and mentor makers to develop their practice to a higher level, consider innovation and introducing new materials or techniques to their existing practise. Shortlisted artists will exhibit a work or a body of work in a dedicated section of Visual Arts Scotland’s next Annual Exhibition at the Royal Scottish Academy, 28 January – 22 February 2019. The winner will be announced during the exhibition and will be invited to develop a new body of work in conjunction with their mentor to be exhibited at the subsequent VAS annual exhibition. You can add up to five pieces of work to your application. Submissions will be judged both on the written proposal, and the quality of work proposed for the exhibition. There is an application fee of £15, and a discounted entry fee of £5 for VAS members. Click here to join now. Within the selection of images uploaded at least one should show the piece/group in its entirety, and one should be a close up shot that demonstrates quality of making. Applicants will be required to login on or after after 10 December to see if they have been preselected and will be asked to download and print their application details to be delivered with the artwork. Applicants may suggest a preferred mentor in the application if they wish to do so, but it is not a requirement and we will work with the winner to recruit a suitable mentor if necessary. Applicants must be resident and working in Scotland for at least four years and at least four years since graduation. Work selected for exhibition can be for sale but does not have to be. Commission of 40% of the sale prices is retained by VAS. It will be assumed that the stated sale price includes our commission. Please allow for this when pricing your work. Visual Arts Scotland will insure artworks from the point of delivery until the stated collection date. Artists must provide the required information to complete the insurance schedule on request, failure to do so may result in the work not being included in the insurance policy. Artists are responsible for the delivery of the work to the gallery on 20 January 2019, and collection of their work at the gallery on 24 February 2019. All packaging materials must be removed after delivery (no gallery storage is available for this) and brought back at collection. Work not collected at the stated times will be subject to a daily charge of £20 and will be disposed of after one month. I understand that The Organisers reserve the right to make such changes to the exhibition arrangements and these Terms & Conditions as may be deemed necessary by circumstances. All information provided by me is true and accurate and that the work submitted is wholly of my own creation, except where a collaborator has been clearly identified and credited appropriately.